2016 has seen the release of ten digital tracks from Dave Ganey and Clare Moore since February. and for December we have I Ain't Hi Vis . All manual workers in public places in Australia wear fleuro or hi vis clothing. Upon donning the strangely medieavel looking apparel, they are immediately accorded the role of authentic, respected, valued members of society and are allowed access to all areas. No questions - they have rank and accreditation. Dave Graney is a musician and performer; an illegitimate, dodgy, shiftless lair of a character for sure, if such a dude is ever seen loitering in any public place. In a forest clearing. In his or her flash clothes and glaring lack of any tools or skills useful for the economy - stupid. 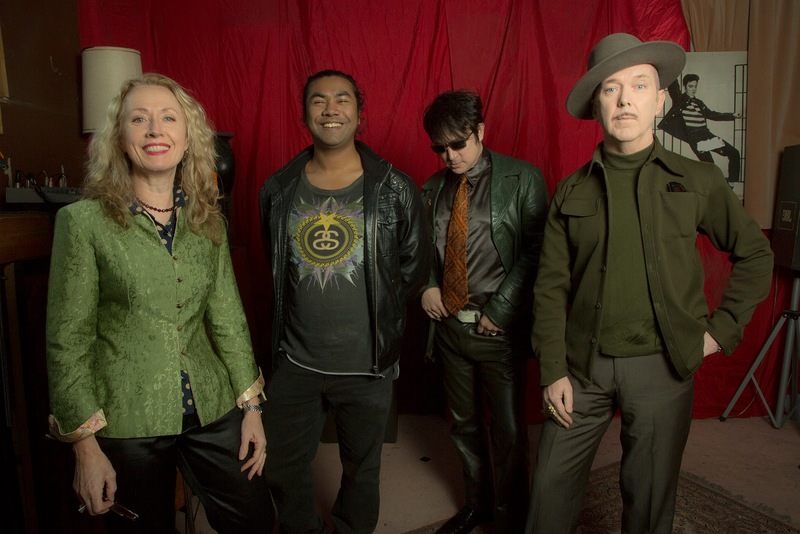 Luckily Dave Graney and Clare Moore are rarely seen in public areas, and even then they are way, way deep inside a scrum of more normal looking, generic, nice, ordinary players. Clare Moore, drums, percussion, backing vocals. Recorded and Mixed by Dave Graney at the Ponderosa in November 2016. Dave Graney and Clare Moore have played all the instruments on all the tracks save for Drifting Donna Reed which was credited to dave graney and the mistLY. Each song was written and recorded each month. No stockpiling, just flashes of inspiration and equally flash recording and mixing sessions at their studio which they dubbed, lomnh ago, teh Ponderosa. The main features that have linked the songs have been Dave Graney using his Maton Alver acoustic guitar which he had serviced late 2015 and a vintage (70s) AKG microphone for most of teh lead vocals. Lizottes in Newcastle March 31st. Thanks to everybody who came to see Dave Graney shows either with the mistLY or the Coral Snakes and who have also been supporting these digital releases.